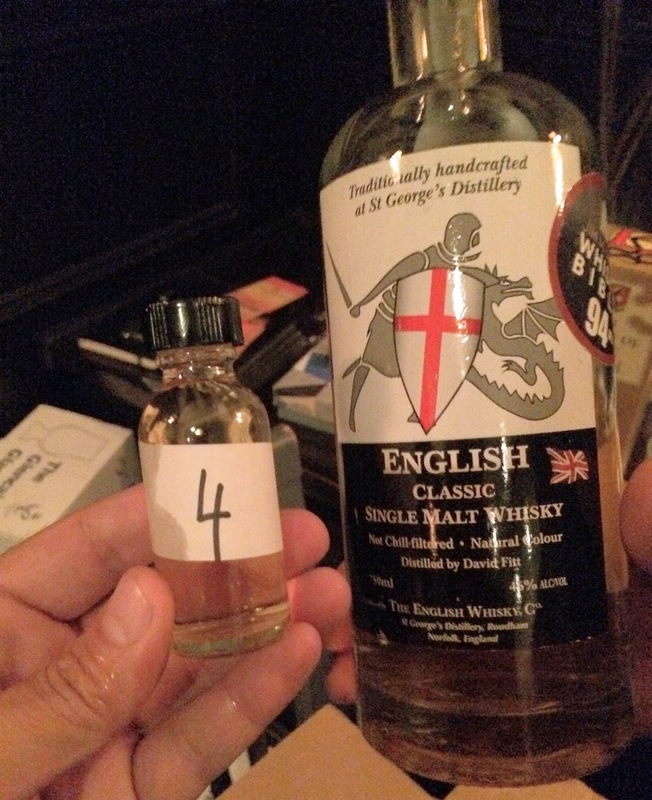 The English Whisky Co. Classic Single Malt (46.0%): Starting today with the samples from a great world whiskies blind tasting I attended last week organized by Chris Uhde and Southern California Whiskey Club and led by one and only Raj Sabharwal. This one is the unpeated expression of The English Whisky Co.
Color: Pale yellow, lemon Chiffon, straw. Nice legs around the glass. Nose: Lemon peel, fresh pineapple and malt. Chalky... Toasted almonds, almond peel and warm oatmeal cookies. New make spirit, stainless steel flask and warm spent mash right after the wort is pulled out. Bitter greens and fertilized soil. Palate: Very malt forward and vegetal... Grain crackers, cold and wet beach sand and sea salt. Nice mouth covering oiliness. Kinda raw... Must be the young age but it doesn't bother me at all. Dandelion leaves, green asparagus and vegetable stock. It certainly grows in me. Old school pencil eraser, inflatable sea bed and salted butter. Finish: Medium long with crushed red pepper, bitter greens and lightly toasted oak. Overall: My favorite part was the nose... So dry, green and dusty. Definitely my kinda whisky in the making. It is very distillate forward as it is now. 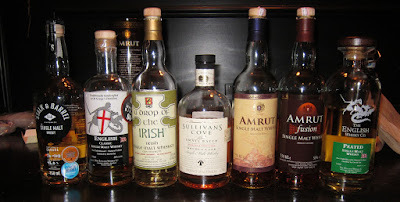 Therefore I am really looking forward to taste the future releases with more cask influence. Only let down is the steep price tag attached to its neck I have to admit but hey... who doesn't carry one of those these days? Many thanks to Raj Sabharwal for the sample.